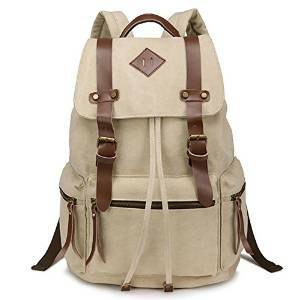 A backpack could be a perfect accessory for a man. Of course it depends of your purpose when you choose it. But all in one it is a useful piece and it worth buying a quality one. Of course there are a few tips which I hope it will help when you are going to choose your backpack. Well, first of all, consider the material the backpack is constructed from. Indeed it is very important. Leather is a popular and fashionable, though expensive option within the business world but not only. High-end leather backpacks are available with back straps that can be converted into a shoulder strap, turning the backpack into a messenger bag. Canvas and polyester are also popular material. Nylon is also available, a little bit less expensive. 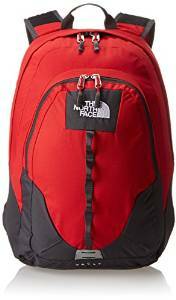 Also try to look for backpacks that are waterproof to make sure your things are protected in the event of an unexpected downpour. And you are going to mountain trips this feature is huge. If you frequently use iPods and other electronic gadgets, look for a backpack that comes with a compartment featuring a small pre-made hole for your earphones. Number and size of the compartments are things that counts a lot. Depending of the purpose of using the backpack make certain it is large enough to carry documents, binders, tablets, and laptops, phones. – could protect your expensive electronic devices, remember that if someone can’t see your new iPhone 5, they are not going to be looking for a way to steal it. – very comfortable to carry. That’s a huge ergonomic advantage. 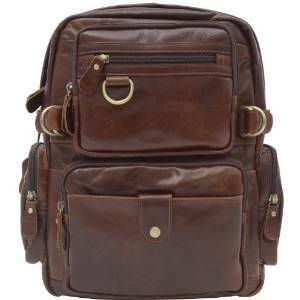 – a very good backpack with plenty of compartments can keep you organized and makes life easier. This backpack is super useful and fashionable. And its not as small as everyone could says it is. Not at all, on the contrary. Worth mentioning that it is also super sturdy and very comfortable. Overall it is a great purchase that is for sure. 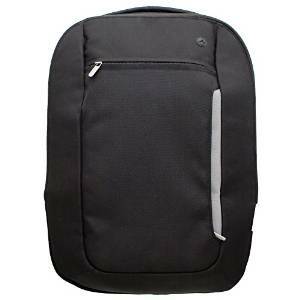 Very appreciated on the Amazon this backpack is very good for your professional activities. The Belkin Slim Back Pack is a lightweight, and versatile back pack that’s designed to carry your laptop and everyday essentials. Designed to carry laptops, this back pack also includes room for everything from pens, business cards, credit cards, power supplies, and your other notebook accessories. It is for sure a great backpack overall. Why ? Well, because has the quality of holding tons of stuff, but there is a good amount of space on the inside of the pack and the smaller zippered compartment has a lot of useful organizing pockets for pens/pencils, calculators, small items, etc. As a college student it does exactly what you could need it to. Easily fit the laptop, notebooks, textbooks, chargers, phones or books. The straps are very comfortable and distribute the weight of all the items inside very evenly, and the chest strap is also nice to have for heavier loads and for physical activities such as hiking or biking. 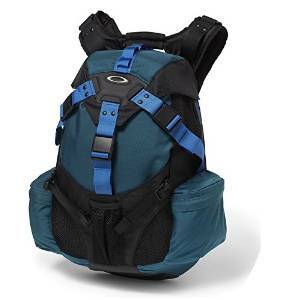 Well, indeed it is a versatile backpack perfect for college times or for mountain trips. As the name suggests it is indeed a fashionable great bag. It looks great and also it has a lot of fabulous useful features. This pack is so big and awesome, even better than you expected. It has a padded inside pouch for a tablet or small laptop. Also had many many pockets and zippered outside storage. Dakine is a great laptop bag, but it has a great versatility which allows it to be used in any other day by day activities. (going to courses, to the hypermarket, or even going hiking). 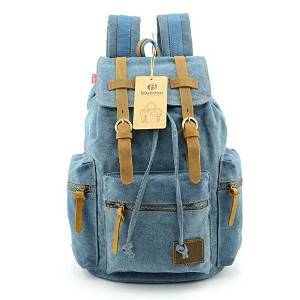 EcoCity Vintage Stlye Cool Backpack is made with high-grade waterproof durable nylon, simple but detailed design. Also mixmatch with qualify synthetic leather accessories, make the bag looks more elegant and fashionable. It has plenty capacity design, most of your living necessities can be fully loaded freely. Worth mentioning that it is specially equiped with laptop linings, provide fully protection for your laptop or tablet. Perfect for school, trips, going out, window shopping. This backpack has large front laundry pocket with gusset. Adjustable, padded, heat gear shoulder straps for total comfort also 2 side water bottle pockets. (very useful). Top grip handle. There’s a soft lined laptop sleeve which can hold a tablet or laptop up to 15″. Also it has There are two large zippered compartments. There are two smaller zippered compartments in the front to hold keys, cell phones, etc. This is what I call a quality multifunctional and versatile backpack. Indeed it is a little expensive but for sure it has a huge good value for the money rate. The materials used on this backpack is surprisingly well made. 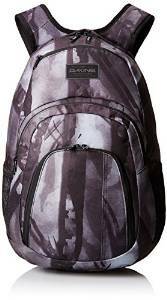 If you are planning to use this as a school backpack, it is possible but based on the design despite the fact it has a laptop holder, but because of the holes on the bottom (to drip out water from wet stuff) and lots of mesh pocket/pocket on the outside and interior of the backpack, I feel like its made for outdoor activity to air out stuff. Anyhow you want for going to class, no problem you can do it, is versatile enough as I said at the beginning. 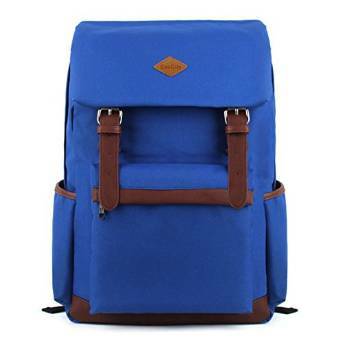 This is a fantastic & high quality backpack that can hold laptop, papers and books etc. It is made from superb polished quality real leather. 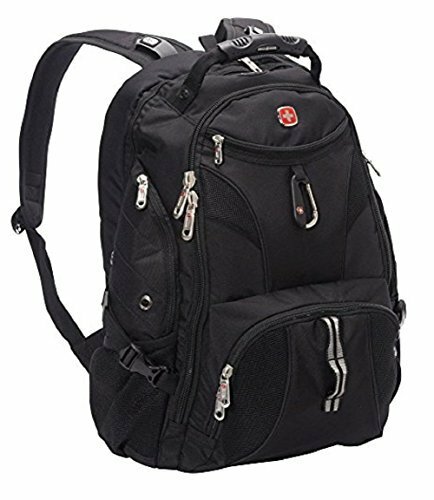 With amazing reviews on Amazon, SwissGear Travel Gear ScanSmart Backpack 1900 is our top choice. 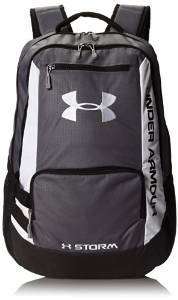 This backpack backpack features interior and exterior organizer pockets, an airflow back system, and water bottle pocket. It also has the special pocket that, hopefully, will make getting through airport security checks easier. Very heavy duty construction and well made zippers and pockets.